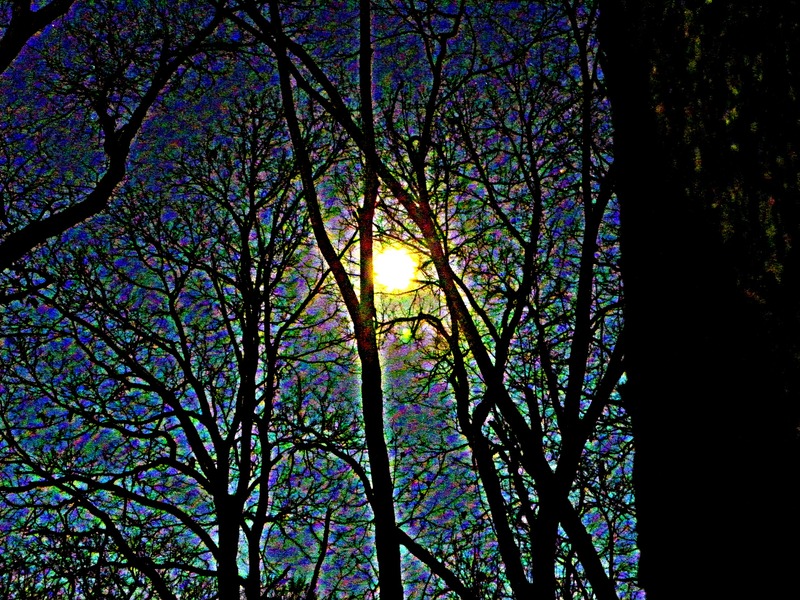 Fresh from after the sunset tonight – the woods and the moon called to me. With the leaves and an old chair in the background. I was mesmerized by the moon, stars, nature, and the beauty. I had so much fun taking these that there are a lot more to come, too!! 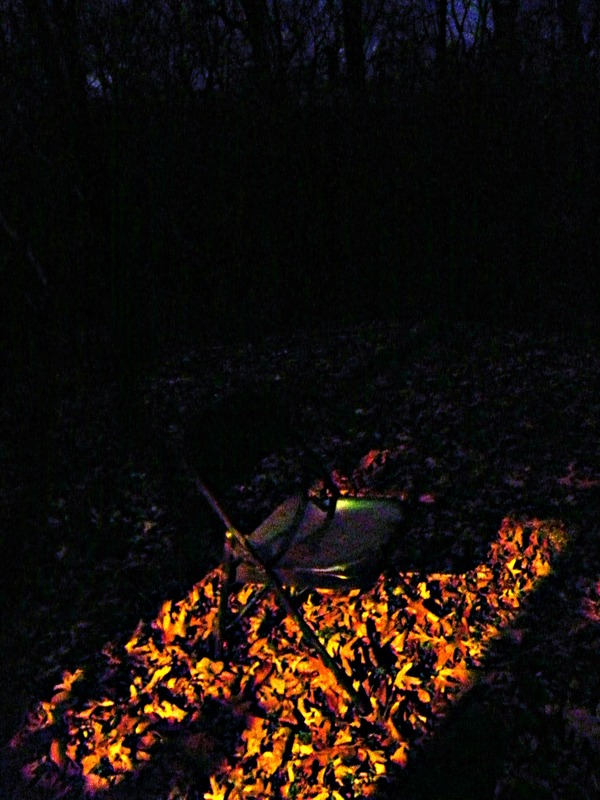 This entry was posted in Photo and tagged chair, Found Round and about, leaves, moon, nature, photography, tisha clinkenbeard photography, window light, woods. Bookmark the permalink. The color effect on the top one is amazing! They turned out so much better than I thought they would. I usually can’t take night photos because of my tremors – the shutter speed is so much slower. 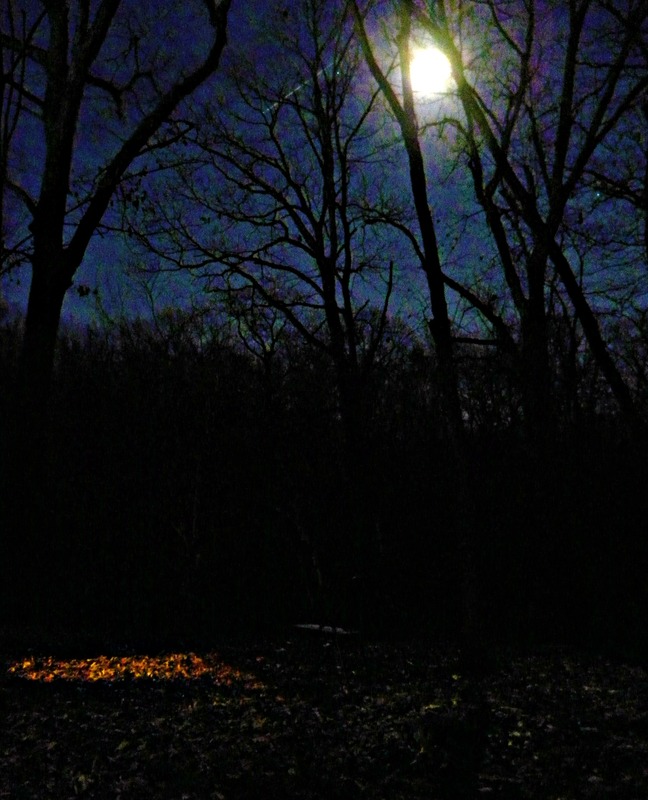 But it seems it was just the right time of night to have a little light after sunset and just enough moonlight.